Scholarships for excellent students from all countries. Study in Holland. Grant award period : 6 – 24 months, 6 – 48 months for PhD. 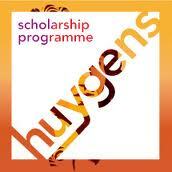 The prestigious Huygens Scholarship Programme is open to excellent students from all countries of the world. It is aimed at talented students who want to come to the Netherlands in the final phase of their bachelor’s studies or during their master’s studies. PhD applications can only be accepted from excellent students with the Icelandic, Macedonian, Chinese, Croatian or Turkish nationality. Furthermore the minister has reserved part of the total budget for excellent students following programmes in Dutch language and literature, or Neerlandistiek. At the start of the academic year (1 September) in which you study in the Netherlands, you must be no older than 35 years of age.